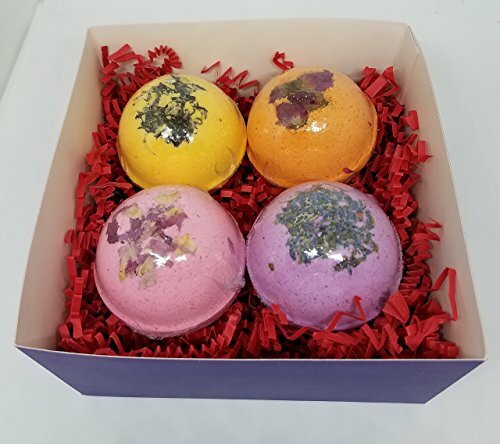 This unique set of bath bombs is in a 6 in x 6 in gift box. Each bath bomb is individually wrapped, 2.5 inches and approximately 5.5 ounces. You can pick the fragrances of your choice! Each bath bomb is long lasting, will fizz, bubble and change the water color. Coconut oil is used to help moisturize skin. Ingredients: Baking Soda, Citric Acid, Epsom Salt, Sodium Lauryl Sulfoacetate, Coconut oil, fragrance and/or essential oil, color. Choose the fragrance or essential oil at check out. If you have any questions about this product by Crazy Mama's Soaps and More, contact us by completing and submitting the form below. If you are looking for a specif part number, please include it with your message.